Want to learn how to start a blog? You are in the right place. After reading this post, you will have inside information on how to start a blog that drives traffic, leads and email captures. The good news is that even if you’re a novice to web development and online strategies, you can still run a website that reels in visitors who are in your target market. It just takes a little bit of effort and patience. In this article, we’ll show you how to start a blog that your industry loves. Read the full details on how to start a blog below. One of the easiest ways to do content marketing is with the aid of a content management system (CMS). The best choice for a CMS is WordPress. Why? Because it commands a whopping 58% of the market share. That’s more than the rest of the CMS options combined. That means you’ll find it much easier to get online support for WordPress. Just Google the question that you have and you’ll likely find the answer from multiple sources. Finally, WordPress also offers a WYSIWYG (What You See Is What You Get) editor. That means you don’t have to memorize a bunch of HTML syntax to format your blog posts. You can use a word processor-like interface that makes it a snap to highlight important portions of your articles. As we’ve just noted, WordPress is extensible. That means you can add new features by installing plugins. One of the plugins that you should install is Yoast. As of this writing, there are more than 5 million active Yoast installations online. The plugin also has a rare 5-star rating. Basic Yoast is free. However, you can also get a premium version that offers 24/7 support in addition to a few other features. You should also add a sitemap to your website. If you’re not familiar with sitemaps, they’re XML pages that search bots crawl to get a hierarchical view of what’s on your site. They help with SEO. The good news is that if you’ve installed Yoast, you’ve already got a sitemap. Yoast creates that for you. However, you should still link to your sitemap in the footer. That way the search bots will find the sitemap when they crawl your site. Once your sitemap is created, it’s important to formally submit it to both Google and Bing. Start by visiting the Google Search Console. Follow the process of adding your site if you haven’t already done so. Once your site is added, visit the dashboard for that site and click on “Crawl” on the left-hand sidebar. Select “Sitemaps” from the dropdown menu that appears. If everything worked right, you should see a note that says your sitemap was submitted. Click the “Refresh” link and keep refreshing the page to ensure that Google can read your sitemap. You shouldn’t see any warnings on the table. Next, submit your sitemap to Bing Webmaster Tools. Start by adding your site in the “Add a Site” field at the very top of the dashboard. Once you click “Add,” Bing will ask for a sitemap URL. Just enter it in and submit it. It’s also a good idea to promote your business right alongside the articles on your blog. You can do that with a sidebar. The good news is that almost every reputable WordPress theme on the market makes it easy for you to add a sidebar. Check your theme’s documentation for details on how to do that. Once you’ve got your sidebar set up, it’s important to include the right kind of info in it. First, add a section that tells people who you are. Give details about the benefits of your products or services. Be sure not to hold back on bragging rights. Also, include links to top guides that you’ve written. That’s how you’ll position yourself as an expert in your domain. Next, include a promotion for your email list. It’s usually a great idea to include the field to capture a visitor’s email address in the sidebar itself. You could also just add a link to a form that captures the email address. Finally, include a list of your top categories in the sidebar. That will give curious visitors an easy way to find other great content that you’ve produced. If you want your articles to go viral, then you need to make it easy for people to share them. You can do that with share buttons. You’ve undoubtedly seen share buttons all across cyberspace. Just view a post on a popular blog and you won’t have any trouble seeing the little Facebook and Twitter icons. You’ll probably see icons from other social media platforms as well. When you click one of those icons, you’ll see a popup that allows you to quickly share the article with friends and followers. Add those share icons to your site as well. There are plenty of free plugins that you can use, but if you want a comprehensive, premium solution, take a look at Sumo. Unfortunately, you’re going to need to write long articles if you want to rank nowadays. 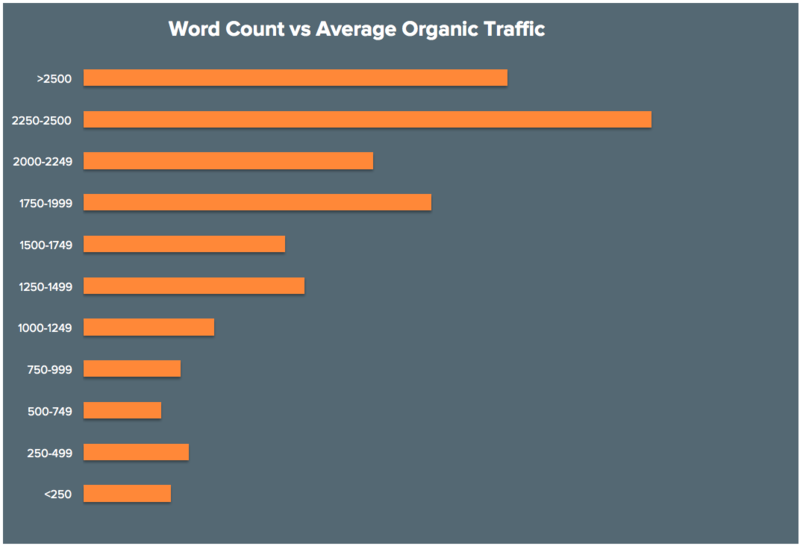 It’s best to make sure that all your best content is at least 1,500 words in length. If you’re trying to rank for more competitive keywords, you’ll probably have to boot that up quite a bit. That’s because Google loves long-form content. Not only that, but there’s evidence that long-form content tends to get shared more. Of course, that means it earns more backlinks. That, in turn, helps with SEO. If you’re a busy entrepreneur and you don’t have time to pump out one 2,000-word article after another, then you’re going to have to outsource the task to a professional writer. Make sure that the writer is someone who’s familiar with your niche, a great researcher, and knows how to produce engaging content. Another way to earn your stripes as a competitor in your industry is with guest-posting. What’s guest-posting? As the name implies, it’s posting an article on somebody else’s blog. That helps you in a couple of ways. First, it establishes you as an authority figure around cyberspace. You build your personal brand when people see your name on a variety of websites. Second, you can use the guest posts to link back to your own blog. That will provide some link juice back to your site. Keep in mind, though, that you should only link back to your own blog if it makes sense within the content of the guest post. If you try to force-fit a backlink to your site from unrelated content, you might fall out of favor with Google. If you’re offering something great that people want to buy, then there’s almost certainly a journalist somewhere who wants to talk to you about it. Grant the interview and use the opportunity to generate buzz about your brand. During your interview, be sure to drop a reference to one of your more popular blog posts. The journalist who’s writing that story will almost certainly link back to it in the news piece. Bingo. Now, you have a backlink from a reputable news source. If you’re looking for info on how to start a blog, here’s one of the best pieces of advice: drop names. There are already plenty of “established” authority figures in your industry. Many of them are non-competitors. Identify those people and mention them in your blog posts. Then, send them an email letting them know that you mentioned them. What will happen then? They’ll likely tweet out your article to their followers with some type of “Hey, I got mentioned here” text. And, just like that, your brand has a little bit more exposure within the industry. Part of your online marketing effort includes building an email list. You should use that email list to promote your blog posts. If you send out emails once a day or once a week, be sure to include in your email a link to your best and most recent articles. Add a summary that tempts people to click the link so they can learn more. Don’t forget to include “callbacks” in your emails as well. Add links to older, but very popular blog posts as a way to boost your traffic. If you want to generate buzz about your blog, you need to go social. Set up accounts on social media platforms that are relevant to both your brand and your target market. You’ll find that some social media sites work better than others. For example, if you’re in the B2B space, then LinkedIn is probably the best place to get the word out about your brand. On the other hand, if you’re running a consumer-driven business model, then Twitter might be a better place to reach people. Also, Instagram and Pinterest are both image-driven platforms. If your promotions are graphic-intensive, you should use one or both of those social media channels. Once you’ve established your social media portfolio, make sure that you use each platform to post links to your articles. That should give you quite a bit more traffic which will in turn improve the reputation of your blog. Finally, be sure to include links to your social media profiles on the header and footer of your blog so that visitors can easily find them. Your blog is a means to an end. You use it to attract more business. One of the ways that you can use your blog to find leads is an email capture system. We’ve already seen that you should try to capture email addresses in the sidebar. There are other ways to do it as well. For example, Sumo offers a popup that’s a “polite way to get signups.” That means the popup doesn’t annoy your visitors by appearing in the middle of the screen. Also, it’s usually a good idea to offer people something free in exchange for an email address. There are very few people who are willing to give up their email address without getting something in return. Some marketers offer a free “guide” that’s relevant to people in their target market. Others use contests. Whatever you use is up to you, but it’s a great idea to offer some incentive. How would you like to engage with your visitors while they’re on your site? You can do that with live chat. It’s very likely that not a whole lot of other businesses in your industry are using live chat on their blogs. That’s all the more reason you should do it. If you offer live chat and your competitors don’t, you’re giving yourself an advantage in terms of customer service. That’s almost certainly going to help your business. Intercom offers a live chat solution that you can install on your website. Harsh reality: you will not become an overnight success as a blogger. That’s why you have to be willing to commit for the long haul. Once you start blogging, you need to keep blogging. Consistently. If you don’t see traffic improve dramatically after a few weeks or months, don’t give up. Keep plugging away at it until you finally publish an article that resonates with people in your target market. In a nutshell, successful blogging is an exercise in both diligence and patience. Now you know how to start a blog that your industry loves. The next step: find a reputable provider that will host your blog online. Then, get a great theme that works for your industry and configure it to work for your target audience. Finally, start blogging.